Whenever a filming crew appears in a public place, curious people stop and stare. 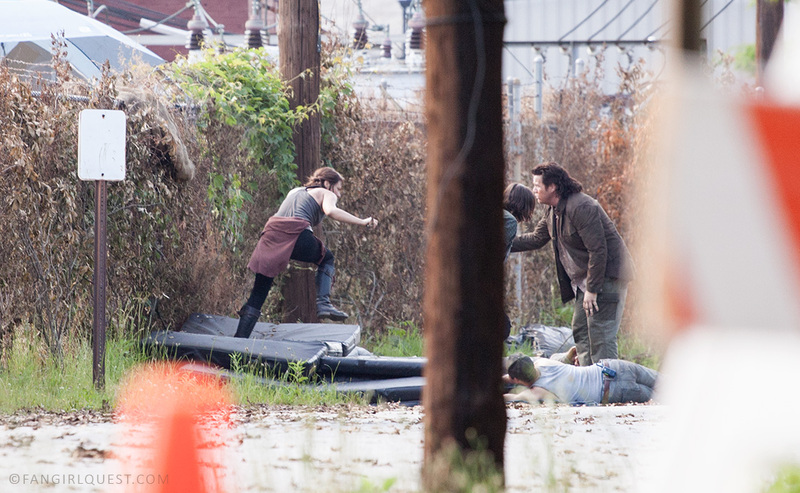 However, when it’s The Walking Dead set, it doesn’t have to be that public – people will find their way there anyway. The curiosity of true fans can’t really be described as “casual” – instead, words like passionate, loyal and super patient come to mind. 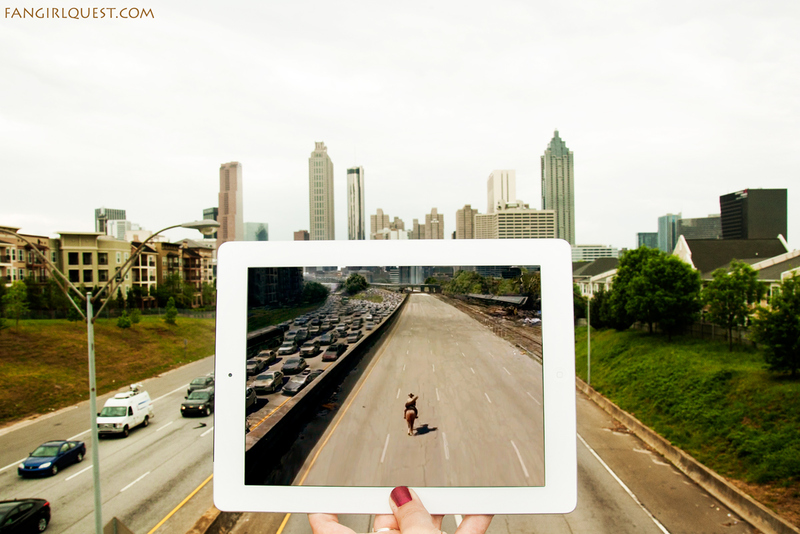 While planning our massive filming location roadtrip from Vancouver, down the west coast and through California, the Southern states and finally, East coast, we made a decision to try and time our visit to Atlanta according to the filming schedule of The Walking Dead. We had no idea if it was going to work out. They could’ve been filming in the studio, they could’ve been on a break when we were in town. It could’ve been a completely closed off set. However, we got lucky. 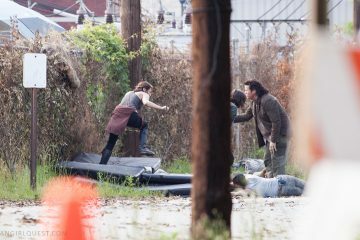 We were down in New Orleans when the news broke out on social media: The Walking Dead had returned Terminus to film the new season. Our original plan was to stay in NOLA for a few days, but you know how it is: sometimes… plans change. And in this particular case, they changed in seconds. We were sitting in a McDonald’s somewhere, excited about the news, discussing our options. 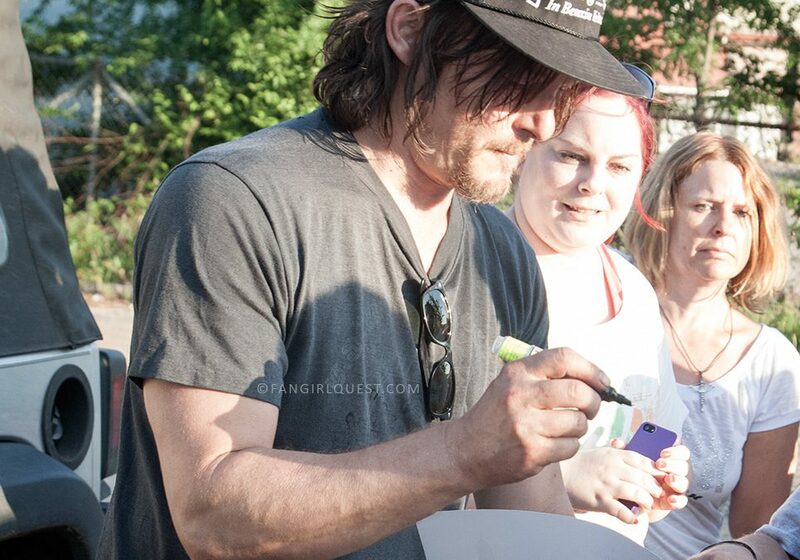 Norman Reedus is the cutest tough guy of all. Here you can see him holding a print of one of our sceneframes. “I can’t believe they’re out there and we’re here… can we just skip everything we planned here and go? !” Tiia said. And so, we sceneframed some 12 Years A Slave, Now You See Me and The Originals as quickly and efficiently as we could, and headed towards Atlanta in the late afternoon, only to arrive there in the early hours of the morning. After a few hours of sleep in a motel on the outskirts of the city, we were ready for some set action! You know how normal people travel and relax during their holidays? Arrive at a destination, go check out the hotel, grab a bite to eat? When it’s Fangirl Quest traveling, this isn’t the case. 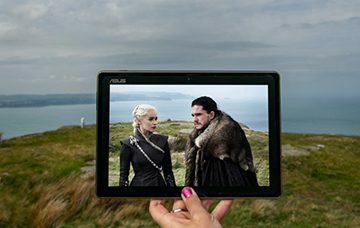 In our case, it’s usually a remote filming location somewhere outside a city, and there’s nothing traditionally touristy about it. But there’s plenty of film tourism happyfeels included. 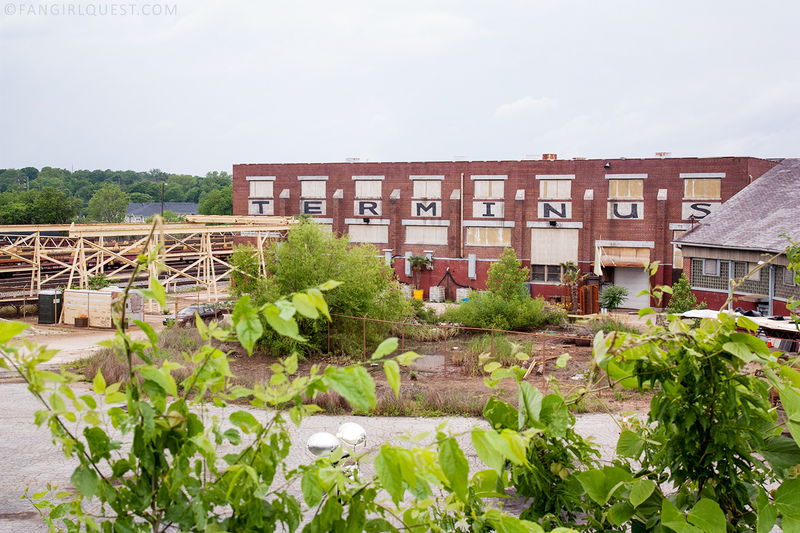 Seeing Terminus for the first time was incredible. 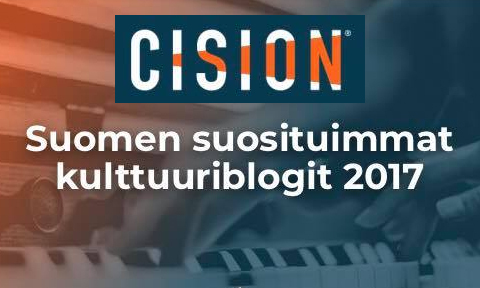 “Just like on TV”, we often joke. Because sometimes, it’s exactly like it is on TV. We had a lovely place to stay outside the city, with a family we’d never ever met before, and the first contact we made once arriving to Georgia was about staying out late. “Ok, we’ve found the Walking Dead set. How late is still ok to drive over?” we texted. “Oh lucky you! Stay as long as you like. We’re big fans of the show too.” they answered. So we stayed. And even though we didn’t see much of the filming (as this group is particularly secretive about spoilers), we enjoyed every second of it. Although we didn’t get to experience much of the visual side of the show being filmed, we did get to hear a lot of exciting sounds. 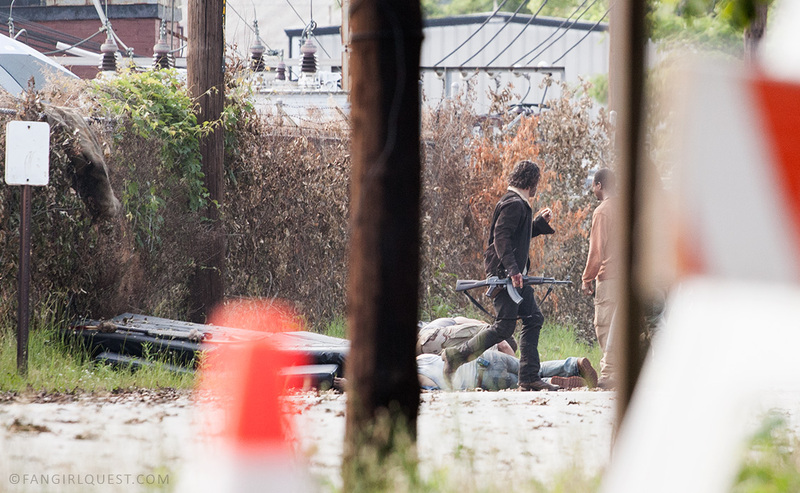 Loud bangs, explosions, shouting, shooting… and afterwards, walkers casually carrying their chairs around. We were in fangirl heaven. Since we were aware that this was possibly our only chance to ever visit this particular set, and to make any contact with the cast and crew, we went all out with the effort. 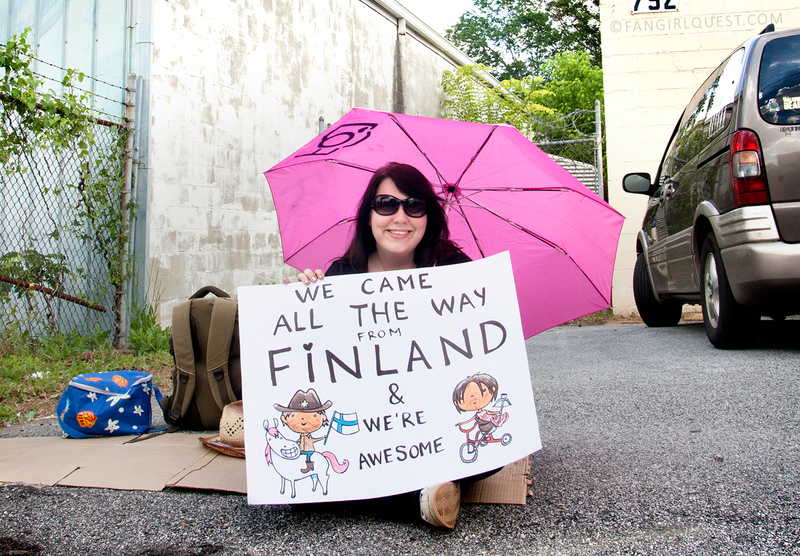 Tiia designed a sign to inform the fine people of Atlanta of our travel distance. And it sort of worked, too! We got shoutouts from the crew and two of them brought over some prop bullets to take home as souvenirs. 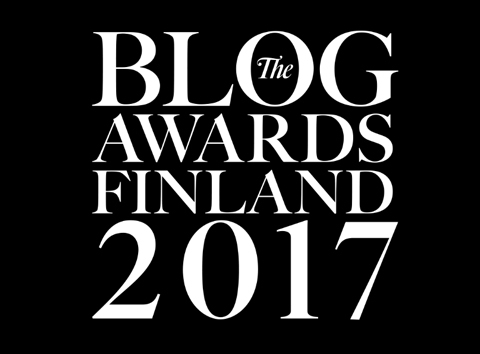 “Where are the Finnish people? We got something for you.” So sweet!! We also met some local fans. 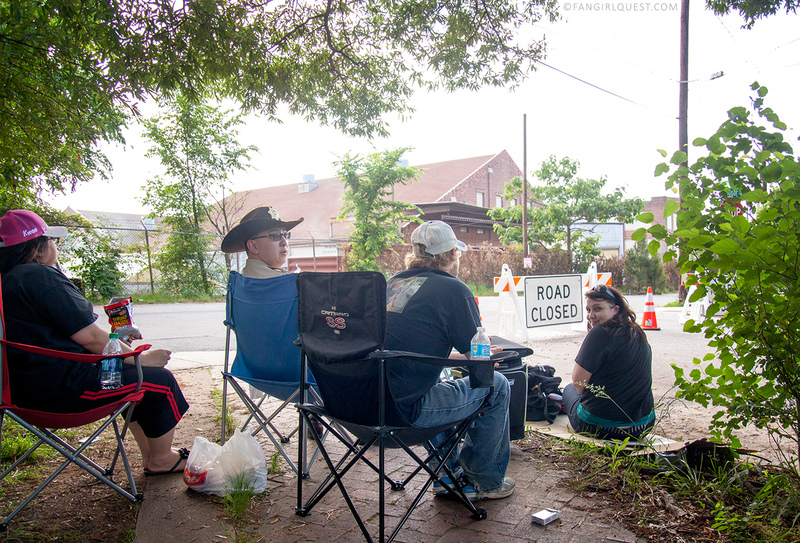 People who are so experienced in hanging out on the Walking Dead set that they knew exactly where to sit and where to wait around for possible meet & greets. 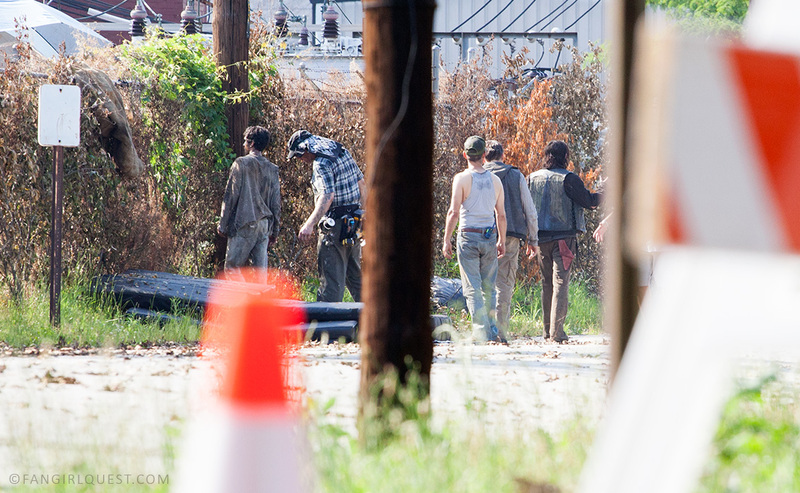 Without their help we’d probably missed Norman Reedus and a short glimpse of Andrew Lincoln and many, many others. Aside from the obvious know-how benefit of these so called filming set acquintances, it’s always lovely to meet new friends. You had one job: This made us giggle. At first, it was just this very efficient looking note to all of us outsiders. But once the wind blew it over, we noticed someone had failed their first attempt at making it. DO NO. The first thing you need when hanging out on filming sets is patience. You’ll need a lot of patience, and time, and the ability to go without food and as little of water as possible as long as you plan to stay and watch. Well, at least if there are no toilets around. Which we didn’t have. You’ll also have to endure the weather. 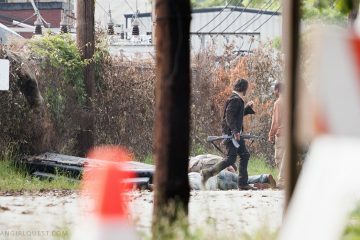 Our three days on The Walking Dead set were also a great introduction to the Georgia early summer weather: super, super hot days, interrupted by the heaviest rain we’ve experienced in our lives. It was ridiculous. It was pouring so much water that it was no use to try and stay dry under an umbrella. So we just gave up, got soaked and figured the merciless sunshine would be back soon to dry us off. 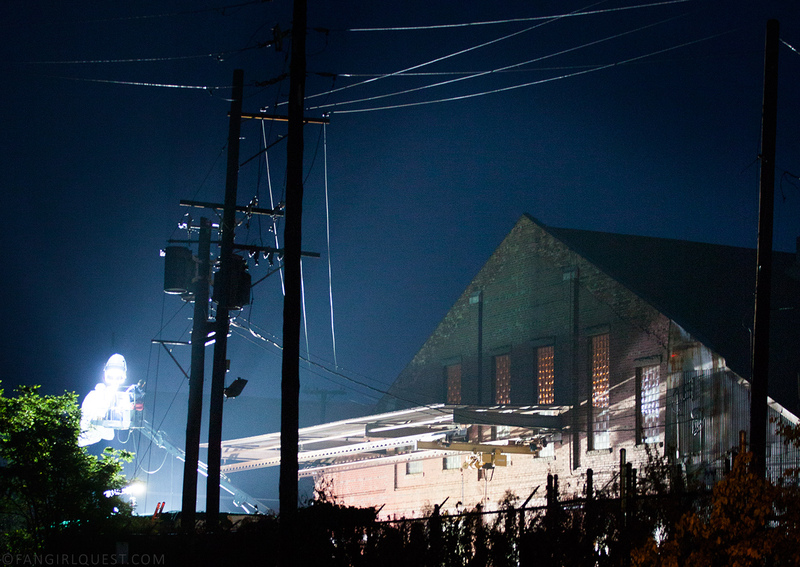 Dramatic night lights at Terminus. On our second day on the set we arrived in good time and sat down on a street corner, already prepared to spend a full day waiting. A really friendly (retired, we think) police officer kept us company – well, and of course kept an eye on us – and told us there might be some explosions coming up later. But that we’d get a warning beforehand, just in case we needed to move to a safer place or something. Well, there was no warning. Instead, there was the loudest explosion / bang we’ve ever heard in our lives. Something so sudden, and scary, and powerful that it almost got us coughing our hearts out. Apparently, something went slightly wrong and they didn’t have enough time to spread the word to the crew and on to any outsiders in the area. Wow. Talking ’bout a real set visit experience. 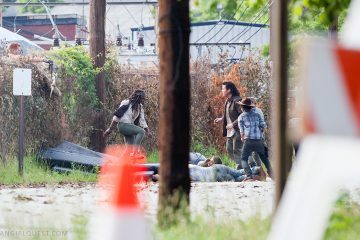 We didn’t know what the explosion was about back then, but later learned it was the explosion Carol caused when she was trying to save her friends from Terminus. 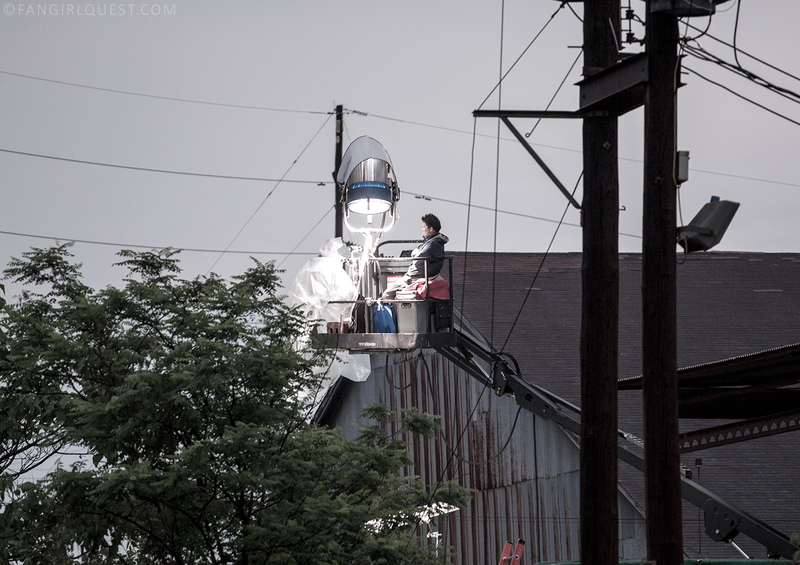 A set visit is exciting for a true film fan – even if it’s just watching the light technicians doing their thing up in the air. After each day of filming we watched the cast leave the set, most of them looking quite exhausted, but usually chatting away with each other and the crew quite happily. Honestly. Robert Kirkman has seen our photos. Amazeballs!! We had one of our Walking Dead sceneframes printed out and signed by the cast members. This is not it. Obviously. 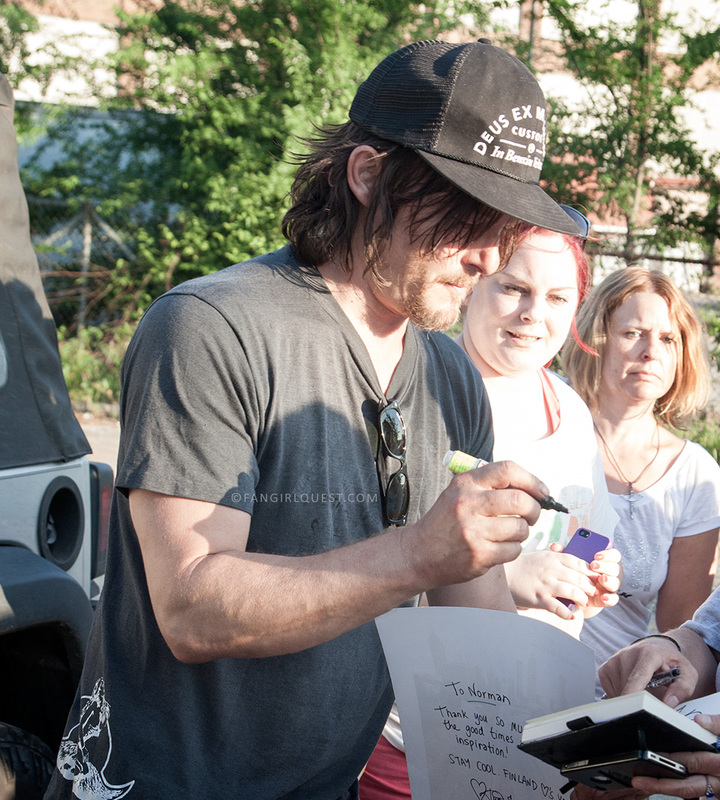 Daryl Dixon AKA Norman Reedus himself came to talk to us a couple of times. The first time that we actually met him (instead of just spotting him from afar going about his business) was behind a fence near their trailers. We were too shy to say anything, but our newfound local friend Patrick gave him a little shout and told him that we’d come all the way from Finland. That piqued his interest. He was having a lunch break and came to say hello in his full Dixon costume, but holding a bowl of salad and a very healthy-looking green drink in his hands. “Yeah sure. That’s cool. 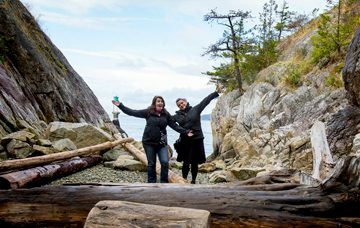 Thanks so much”, we said trying to look casual. 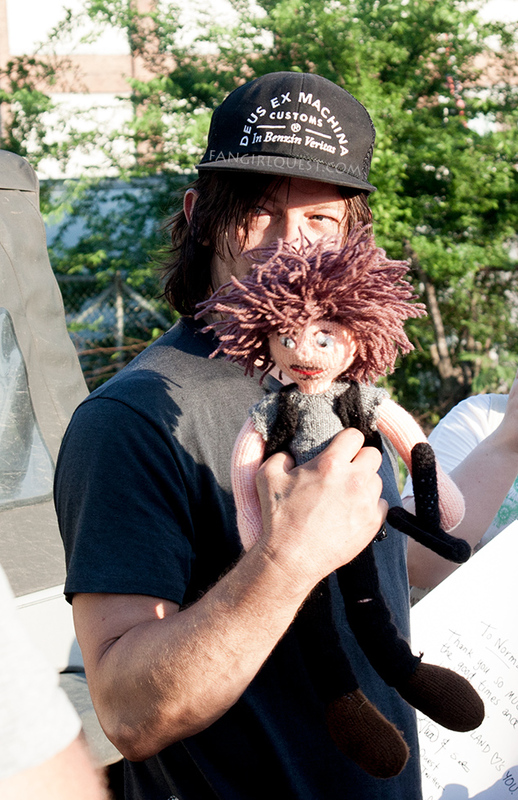 “We just had a chat with Daryl Dixon and can you believe how cute he is?!? !” we freaked out right after, trying to keep our voices down. We also met Lawrence Gilliard Jr. (“Bob”) and Josh McDermitt (“Eugene”) who stopped their cars outside the fences just to snap a few photos with anyone who wanted them. 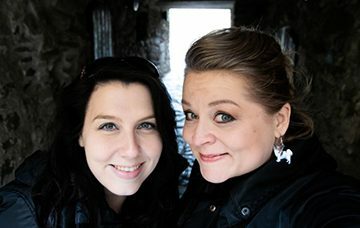 Such adorable guys! Friendly, funny and clearly enjoying this business with their enthusiastic fandom. 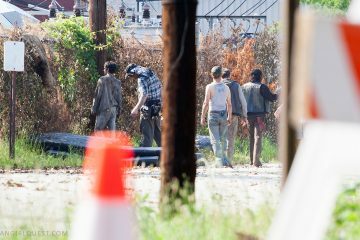 Chandler Riggs and a few others gave us a wave before disappearing somewhere via their Secret Routes Leading Out From The Walking Dead Set, which was nice, but we were a little bit heart-broken by the fact we never met Andrew Lincoln (“Rick Grimes”) himself. Maybe, hopefully we will some day. After all, you need to have some goals in life to keep it interesting! 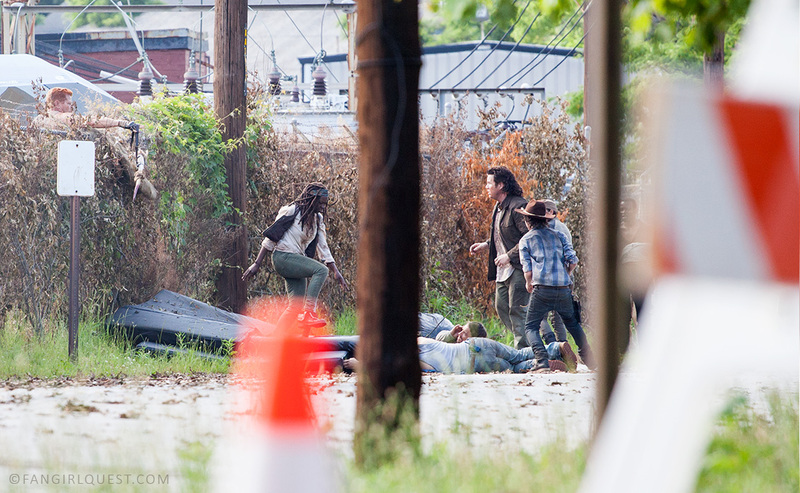 One of the most exciting things we experienced was witnessing the whole group’s escape from Terminus. 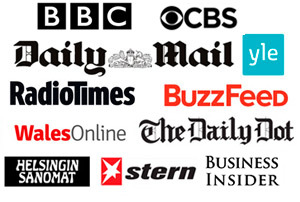 Out of respect for the production, we didn’t even consider publishing any of them until… well, this much later. We figured we could’ve made a pretty penny by selling them to the press but hey – anyone who goes down the paparazzi route and releases spoilers about a show has a special place in TV fan hell. And we really don’t want to end up there. We had a whole bunch of fun photos of the cast jumping over the fence and doing spectacular landings on the mattress, but you’ll get the idea by looking at these few. And last, but not least: here’s our collection of pure happiness and lovely smiles. We’d like to thank the whole cast and crew for being so nice and patient with us fans. We are aware it’s not a part of your job description to deal with random people hanging out in the area, staring at your work all day and quite likely disturbing your work, but we’re thankful for you being so cool about it. It means a lot. You’ve given us this amazing show and these amazing characters, and it really means a lot that we get to say hello to you guys in person. So… THANK YOU for everything. Stay safe. Stay creative. Never stop.